For many of us, the office is where we spend almost half of our waking lives – but few people give too much thought to the conditions of cleanliness in this important environment. 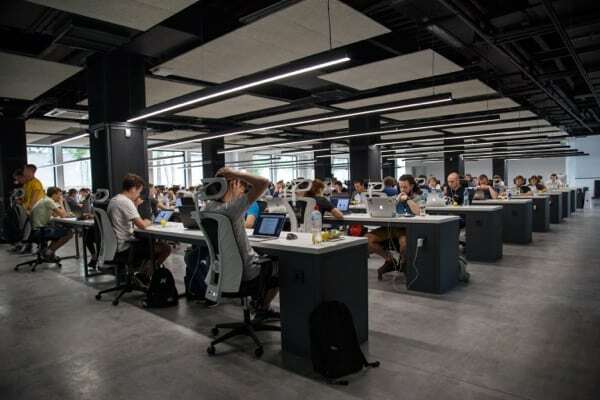 With so many people working and living in such a small place, offices can be a breeding ground for germs, bacteria and contagious disease, ultimately resulting in reduced productivity, more sick days and a lower profit margin. Here are a handful of little-known facts about the cleanliness of offices (or lack thereof) and why hiring a capable, professional cleaning team is so important. Now that you’re armed with this array of interesting facts, it should be clear that securing the services of a reliable and professional cleaning company is paramount to the happiness of your employees and the success of your business. At Regional Services, we offer a comprehensive range of commercial cleaning services to keep your workplace free from germs and as spotless as the day you moved in. To learn more about the different packages we offer, give us a call on 020 7708 3814 or send us a message today. We’re waiting to hear from you! « What Can You Recycle in Your Office?